Ethanol is a clean-burning, renewable fuel made from crops such as corn and rice. By using waste biomass as the source for conversion to energy the population benefits two fold immediately: the ethanol distilled from the waste biomass causes the unleaded gasoline to burn cleaner with less tailpipe emissions; and as the waste biomass does not break down releasing into the atmosphere methane and carbon dioxide which are key components of the greenhouse gases. Colusa Biomass will continue to pioneer uses of waste biomass to the benefit of our shareholders and the population in general. oday we all suffer sticker shock when we fill up at the service station. The daily news broadcasts proclaim higher energy prices and decry the lack of a national energy policy. At Colusa Biomass Energy Corporation, we respond to this with our own question: Got Waste? We certainly do have waste! When the rice farmer grows an acre of rice he gets about 8000 pounds of rice and 5000 pounds of rice straw. Most of the rice straw has no commercial value. Worthless waste rice straw is not the case with CBMG. We have the technology to make an acre of waste rice straw into 313 gallons of fuel ethanol and 900 pounds of high silica for industry. 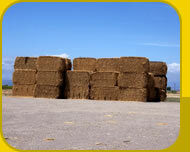 CBMG generates more than $890 of revenue from an acre of waste rice straw. Got Waste? Then get revenue from it. CBMG can do just that for you. Thanks for your interest. You'll be seeing a lot more of CBMG in the future.